Multiple accounts with the same contacts may create duplicates. 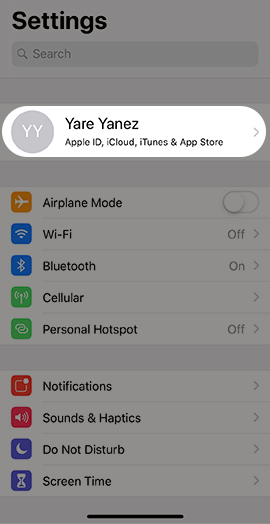 To minimize, choose the app to use to back up your contacts and turn that setting off for other apps. This info outlines how to manage your contact backup options for some common account types. Tap your Apple profile (e.g., Joe Smith) at the top of the Settings menu. If prompted, enter your Apple ID and Password then tap Sign In. Tap the Contacts switch to turn on o desactivar . If already syncing with Verizon Cloud, turn off to avoid duplicates. Tap the Facebook app icon to open. Tap the More icon in the lower-right of the screen then tap Friends. Tap Contacts and verify that "Continuous Contacts Upload" is turned off.